The Center at St. Andrew, Seattle and Contemplative Outreach Northwest Welcome Rabbi Rami Shapiro to lighten our hearts and give us hope! A “holy rascal,” a “spiritual independent,” sometimes even a “spiritual revolutionary” – those are some of the things Rabbi Rami Shapiro calls himself. The Center at St. Andrew, Seattle, in partnership with Contemplative Outreach NW, is excited to welcome Rabbi Rami Shapiro for a lecture and workshop April 9-11, 2019. All events will take place at St. Andrew’s Episcopal Church in Seattle (111 NE 80thStreet, Seattle, WA 98115). A healing, community, and lifelong learning ministry of St. Andrew, Seattle, The Center has a history of hosting special guests like Rabbi Rami. In recent years, The Center has hosted the Pacific Northwest Interfaith Amigos, Imam Jamal Rahman, Rabbi Ted Falcon and Ruth Falcon, Aneelah AfzaliMuslim Association of Puget Sound (MAPS), and others from a variety of backgrounds and faiths. The Center is committed to outreach, to providing a place where all can explore what it means to be humans in community and what it means to be in relationship with the wider world, and to welcoming all in love to heal the wounds of division, to learn from each other, and to enrich the lives of all. All – from around the diocese, from the Green Lake neighborhood, and to the far reaches of our arms – are welcome at The Center. Through Centering Prayer and related practices, Contemplative Outreach Northwest seeks to awaken the contemplative dimension of the Gospel in everyday life. In addition to providing workshops and supporting prayer groups, CONW sponsors special events to inspire all to become contemplatives-in-action. Over the years, CONW has sponsored numerous commuter retreats. The visit of Rabbi Rami is a part of that tradition. Through his connection to Fr. Keating, Cynthia Bourgeault, Richard Rohr, and others, Rabbi Rami is a part of the larger contemplative network nationally and internationally. 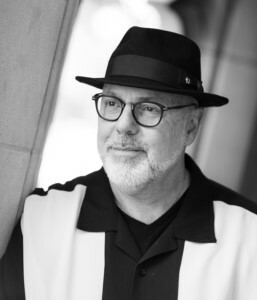 Rabbi Shapiro will present an open lecture and discussion on Perennial Wisdom, the mystic heart of the world’s religions, as the foundation for the human call to be a blessing and to recognize that we are all one community of seekers. 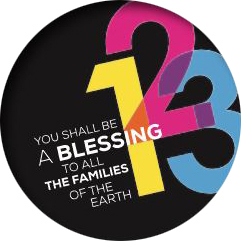 Rabbi Shapiro will lead a day and a half workshop entitled 1-2-3 Blessing: Be a Blessing to All the Families of the Earth. The workshop will delve into the spiritual truths of blessing more deeply and explore perennial wisdom from the mystic heart of the world’s religions. To borrow from Torah, you are here to “be a blessing to all the families of the earth [human and otherwise]” (Genesis 12:3)–to make the world a little more joyous, free, and loving for your having been born into it.